We are Wim and Bertha Grosman and live in Kropswolde, a small village in the northern part of the Netherlands. Our house is situated on the Guitpad, which is a small lane running adjacent to our fields. Our passion is breeding dogs and horses with charm and character. So it is no wonder that our favourites are the Belgian Shepherds and the Pure Bred Arabian Horses. 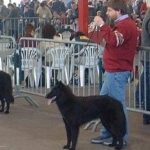 Our first dog was a Groenendael and she came to us in 1974. The first Tervueren came in 1984. Our experience with these dogs is longer than 43 years. We have had horses since 1986 and Pure Bred Arabian Horses since 1996. Our aim is breeding sound dogs and horses with character, a good construction and a type according to the standard. 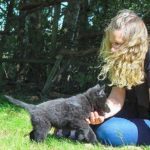 We are members of the two official Dutch Club for Belgian Shepherds the NVBH and BHCN and recognised as official breeder. We are also members of the Dutch Club for Arabian Horses. If you are interested in our breeding click on the tab Kennel v’t Guitpad or Kropswood Arabian Stud for more information. If you would like more information then please do not hesitate to contact us. Home of Kennel v’t Guitpad & Kropswood Arabians. A special place with a special mission. Breeding with passion and respect.